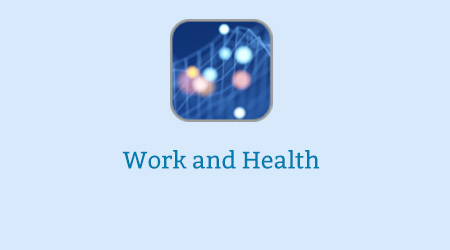 Welcome to this e-learning course about the crucial relationship between work and health. This is intended to improve healthcare practitioners’ confidence to support patients with long term or chronic health conditions, via brief conversations in routine consultations. The course does not cover work-based health initiatives, but instead focuses on the relationship between healthcare professionals and patients. Research shows that multidisciplinary teams are highly effective in helping people with long term conditions return to or stay in work. Specialists, GPs, nurses, occupational health experts and other rehabilitation physicians all have their part to play, which is why this course is pitched at a general level of knowledge and practice. The introductory session covers the key concepts about the links between work and health, and presents the evidence that an early intervention and a brief conversation about work can provide a fast and effective functional assessment of your patient and their health. It suggests methods to handle those consultations and gives a brief introduction to Motivational Interviewing. The Self Care for Health Professionals session asks you to take time to consider yourself and your own needs when it comes to remaining healthy at work. It has some practical advice for busy professionals – who often spend so much time thinking about the needs of others that they can risk neglecting their own. The supplementary sessions give more context, and ways to signpost patients to further support. To complete the programme, you have the option to do the whole course, or simply complete the Introduction and Self-care for Health Professionals sessions plus one other session of your choice from the supplementary sessions. A certificate will be generated on completion of the Core Sessions module plus a certificate is available on completion of each supplementary session. Each session lasts approximately 30-40 mins. We encourage you to take the whole course if this area is new to you. Signpost patients to further resources and sources of support. Giving a patient confidence in this way can be a huge aid to their recovery or rehabilitation. The subsidiary sessions concentrate on building knowledge around work as it affects people at different stages of the life course and explore the reasons some people may have difficulties finding or remaining in work. Two disease-specific sessions focus on musculoskeletal conditions (MSK) and mental health, as these two conditions are responsible for the majority of cases of health-related absence in the UK workplace. If you already have an account with e-LfH, then you can enrol on to the Work and Health programme by logging in to the e-LfH Hub, selecting My Account > Enrolment and selecting the programme. You can then access the programme immediately in the My e-Learning section.